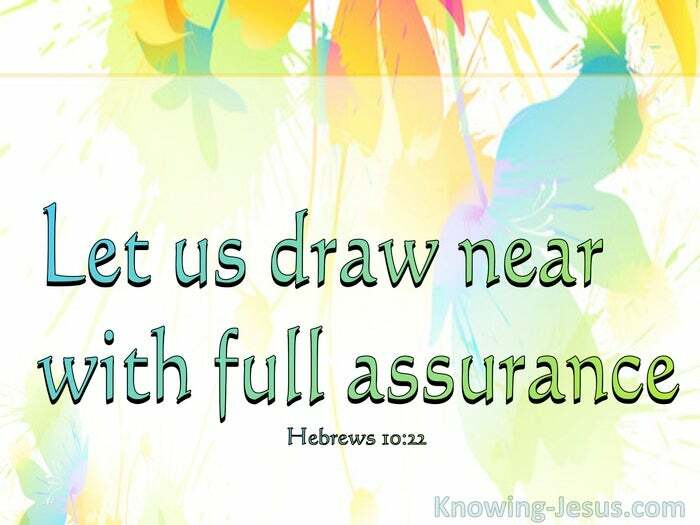 Let us draw near with full assurance. For our gospel came not unto you by word only, but also in power, and in the Holy Spirit, and in much assurance. The words that drop from the mouth of the Lord are jewels of silver and gold and how we need to heed His instructions. He has told us that we must become like little children to enter His kingdom. He placed a little child in their midst and said.. be as one of these little ones – and as one looks at little children the more you see ONE outstanding characteristic:- It is an unquestioning assurance – an unfaltering confidence. It is a deep trust in the mother that cradles them, the father that delights in them. It is this typical steadfast, unfaltering, resolute trust that the Father seeks in His own. Have I this precious childlike virtue; this deep confidence; this steady faith? Do I thus honour the Lord with my unfaltering confidence in Him or does my heart falter when life implies, in all its fullness – the opposite ? 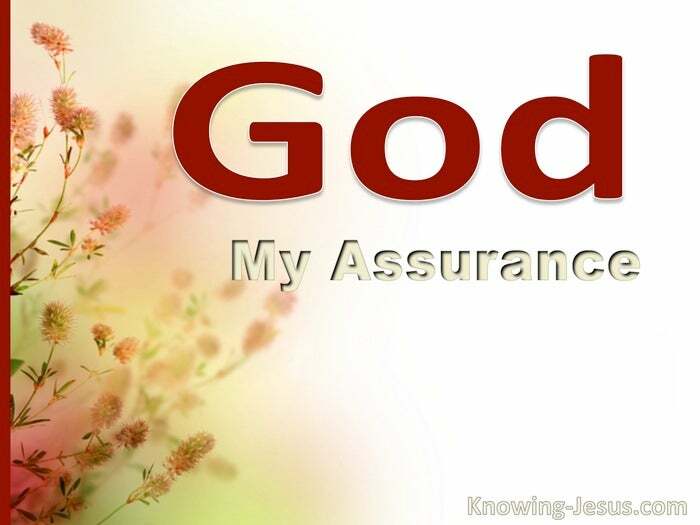 I have His assurance – His dependable, trustworthy assurance in His Word and I learn His assurance – His deep abiding conviction, as HE lives in Me. He lives in and through me – as I learn to submit to the indwelling Spirit of God – and as He lives in and through me I assimilate a deep, lasting, confident assurance. As I submit to Him – the Spirit is enabled to produce lasting and abiding fruit.. fruit of His righteousness in me – fruit of His Spirit through me. Let us seek to appropriate that blessed assurance, this unfaltering trust in God. He is our own dear heavenly Father, and He truly becomes our Assurance.. so that with inner confidence and assurance we may rest in Him – and sing both now and in eternity.. Blessed Assurance – Jesus truly is mine…O what a wonderful foretaste of His magnificence, His splendour and His glory divine. I am become an heir of salvation, purchased (through Christ’s sacrifice) – purchased of God – born-again in His Spirit, washed in His life-giving, atoning blood. Perfect submission, all is at rest. I in my Saviour am happy and blessed. Watching and waiting, looking above. Filled with His goodness, lost in His love. This is my story and this must be my everlasting song.